At the recent ‘The Big Yak’ event, run by The IC Crowd, we started a competition asking communicators to tweet their corporate buzzwords and phrases to Sequel Group. 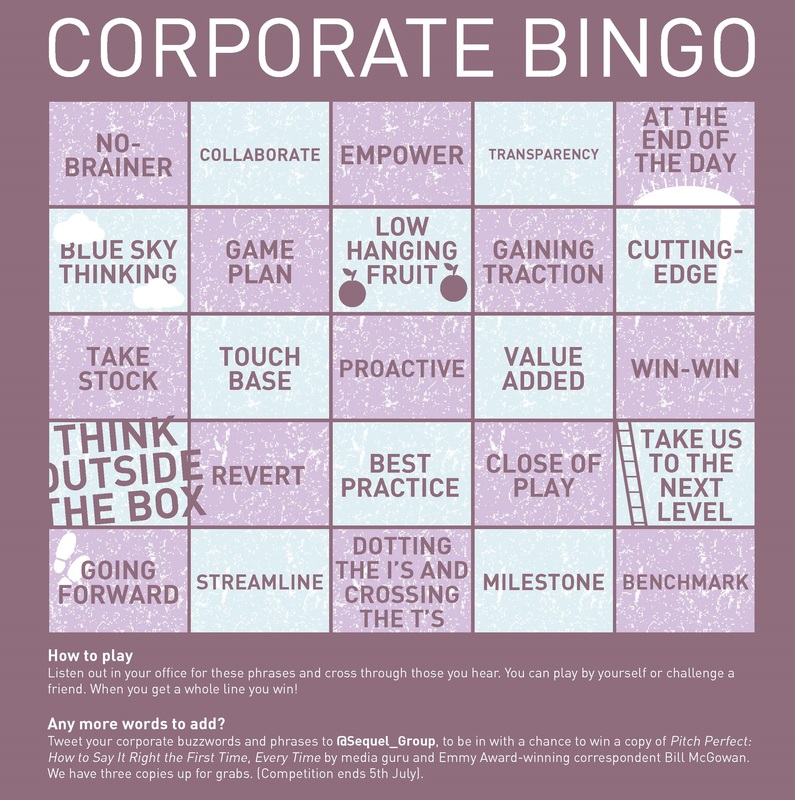 We had already identified a few of our favourites on our corporate bingo board – download, print and play in your office – and it was great to see other ideas! The three winners of our competition will each get a copy of Pitch Perfect: How to Say It Right the First Time, Every Time by media guru and Emmy Award-winning correspondent Bill McGowan. Big thanks to all who entered and even though our competition is now closed if you have any corporate buzzwords you would like to share please tweet us on @Sequel_Group. Read our thoughts on The Big Yak 2014 here.